Deepak Gupta, Cj. And S. Talapatra, J.
Deepak Gupta, CJ. – By means of this writ petition the petitioner has laid challenge to the revisional order dated May 12, 2010, passed by the Commissioner of Income-tax, Shillong, under section 263 of the Income-tax Act, 1961. 2. Briefly stated, the facts of the case are that the assessee is a contractor by profession. He had undertaken various contracts during the financial year 2006-07 corresponding to the assessment year 2007-08. He filed his returns and the Assessing Officer scrutinized the returns in terms of section 143(3) of the Income-tax Act. During the scrutiny of the returns, the Assessing Officer found that the petitioner had, in his initial return, not disclosed the existence of a Bank Account No. 30044789261 maintained with the State Bank of India, Bazar Branch, Agartala. At the end of the financial year, a sum of Rs. 15,365 stood in the credit of the assessee in the said bank account and this amount was added to the income of the assessee as undisclosed income. Penalty proceeding was initiated separately. 3. According to the assessee, he did not want to contest this matter and, therefore, deposited the amount assessed by the Assessing Officer. 4. The Commissioner sent a communication dated November 16/18, 2009, under section 263 of the Income-tax Act to the petitioner for the assessment year 2007-08. The heading of the said communication reads as follows : “Sub : Proposal for revision under section 263 of the Income-tax Act, 1961, for the assessment year 2007-08-reg.” Though the heading stated that it is a proposal for revision under section 263 of the Income-tax Act, 1961, but in the communication the following line was mentioned. 5. Mr. Saha, learned counsel for the assessee, contends, and rightly so, that this notice was totally illegal since the Commissioner of Income-tax had actually set aside the order of the Assessing Officer even before giving notice to the assessee. 6. There is no manner of doubt that this communication is not at all legal and valid. Though in the opening portion, it is mentioned that it is a proposal for revising the order under section 263 of the Income-tax Act, in the second quoted portion, it is clearly mentioned that the order of the Assessing Officer was erroneous and prejudicial to the interests of the Revenue and was, therefore, being set aside. No order under section 263 of the Income-tax Act can be passed without giving the assessee an opportunity of being heard and putting forth his case. Therefore, we are clearly of the view that this notice was not in fact a proper notice. 7. The normal natural consequence would have been to have quashed this notice but, in the present case, certain subsequent developments have taken place which clearly indicates that the intention of the Commissioner of Income-tax was not to set aside the order but to express his prima facie view that the order was wrong. The assessee in response to this communication appeared before the Commissioner of Income-tax who gave the assessee a number of opportunities of being heard. Written submissions were filed by the assessee and, finally, the Commissioner of Income-tax passed a detailed reasoned order on May 12, 2010. 8. 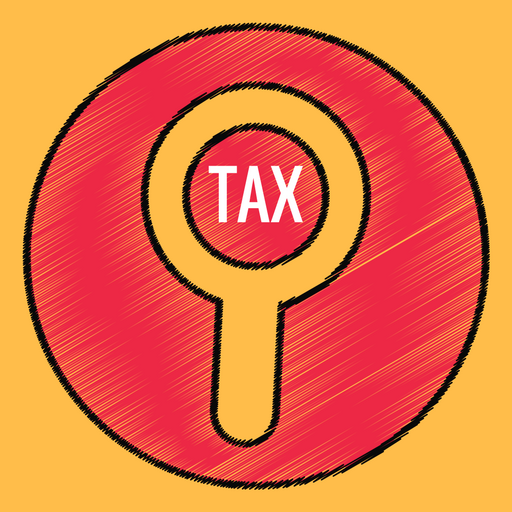 Assuming that the notice was bad, the issue that arises is whether the order under section 263 of the Income-tax Act should be set aside at this stage because now hearing has admittedly been given to the assessee. If the assessee had approached this court or any other authority, immediately after the first order had been passed, normally, the only order which would have been passed would be to set aside the communication dated November 16/18, 2009, with liberty reserved to the income-tax authorities to take fresh action after giving reasonable opportunity to the assessee to put forth his case. Here that reasonable opportunity has already been given to the assessee and, therefore, in the peculiar facts and circumstances of the case, though the notice was not properly worded, we are unable to accept the contention of Shri Saha that the consequent order under section 263 of the Income-tax Act should be set aside. 10. We, in writ jurisdiction, cannot come to a final conclusion as to whether it is the assessee who is right or whether it is the version of the Commissioner of Income-tax which is correct. It will be for the Assessing Officer to decide whether the amounts which have been credited and debited in Bank Account No. 30044789261 of SBI are reflected in the books of account or not. If they are reflected in the books of account then the only non-disclosure is about the final amount of Rs. 15,365 lying in the bank account in the return. But in case these transactions of the bank account are not reflected in the books of account then the order of the Commissioner of Income-tax would be right and all the transactions in the bank account which were not reflected in the books of account would have to be treated as undisclosed income. 11. Therefore, while disposing of the writ petition, we would only like to issue the following clarification that the Assessing Officer, while looking into the issue as to where the credits have come from and where the debits have gone, shall also look into the issue as to whether these credits and debits have been reflected in the books of account of the assessee which were produced before him even at the earlier stage. If those credits and debits are reflected in the books of account then they shall not be treated to be undisclosed income. 12. With this observation, the writ petition is disposed of. No costs. This entry was posted in Section 263, Section 68 and tagged 363 ITR, In favour of Revenue, Tripura High Court, undisclosed income.